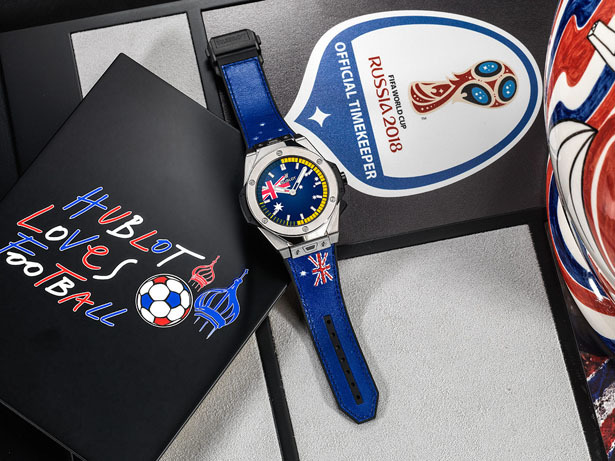 As a branded licensee, Hublot has designed and developed special watch for this year World Cup, Big Bang Referee 2018 FIFA World Cup Russia. 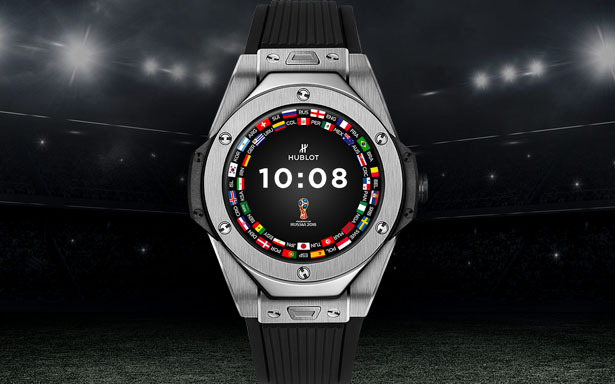 This smart watch would connect all football fans and Hublot fans for one of spectacular events down to every decisive second of the matches. 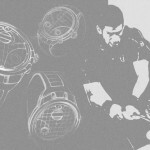 The footballing world will be marching to the beat of the watchmaker and even the pulse of the matches will reach at its peak on your wrist. 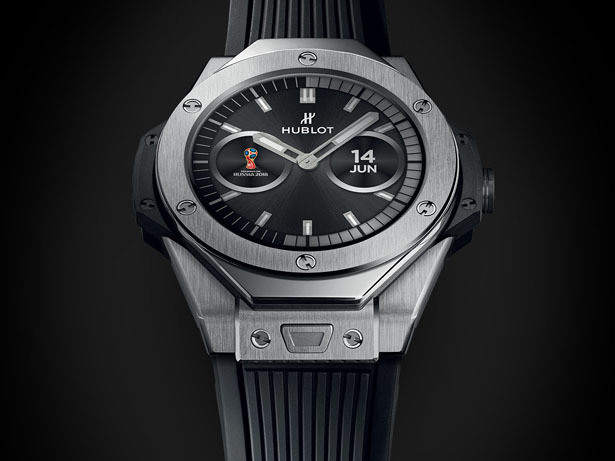 Boasting 35.3mm diameter watch face housed in 49mm case, Big Bang Referee 2018 FIFA World Cup Russia watch from Hublot is easy to customize. 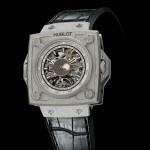 It has all attributes connected to the iconic Big Bang, also FIFA asked Hublot specifically to create a watch to accompany them on the pitches during the matches. 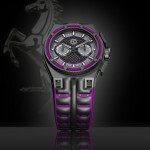 The bezel is decorated with six H-shaped screws, the emblematic architecture represents the lightness of titanium. 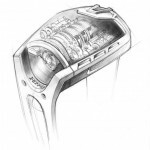 The motor of the watch is driven by technology connected to digital intelligence, it’s a connected watch powered by INTEL Wear OS by Google technology developed by LVMH. 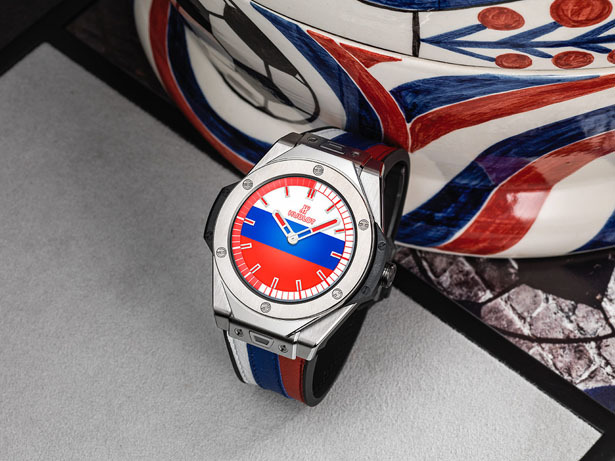 Limited to only 2018 pieces, Big Bang Referee 2018 FIFA World Cup Russia watch comes with an app specially developed for this competition. 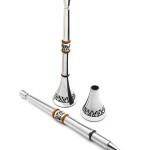 There’s a series of “fan” dials in the colors of participating nation. It has several notifications to announce matches 15 minutes before their kick-off, including yellow, red cards, player changes, and goals. 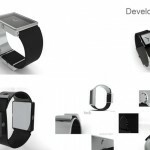 One cool thing is, this watch vibrates and displays the word GOAL every time a goal is scored, instantly. 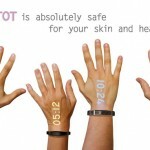 During the match, the dial can display the match statistics such as number of cards, score, names of goal scorers, match time, and player substitutions. 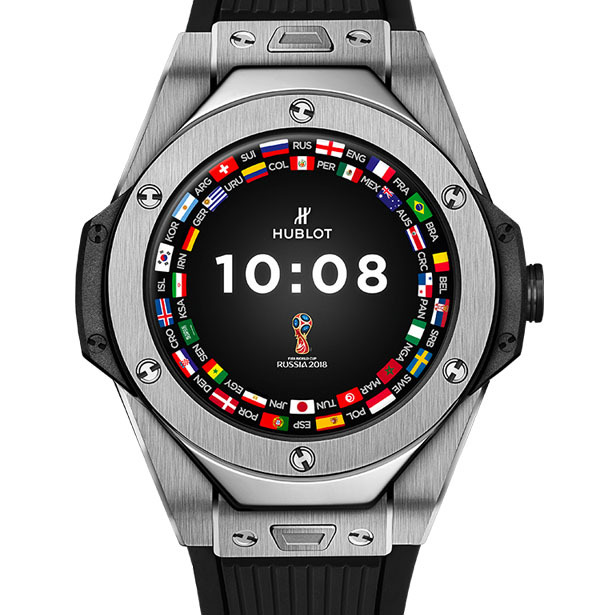 Tagged as fifa world cup 2018 official watch, futuristic hublot smartwatch for world cup, hublot big bag watch for fifa world cup 2018.